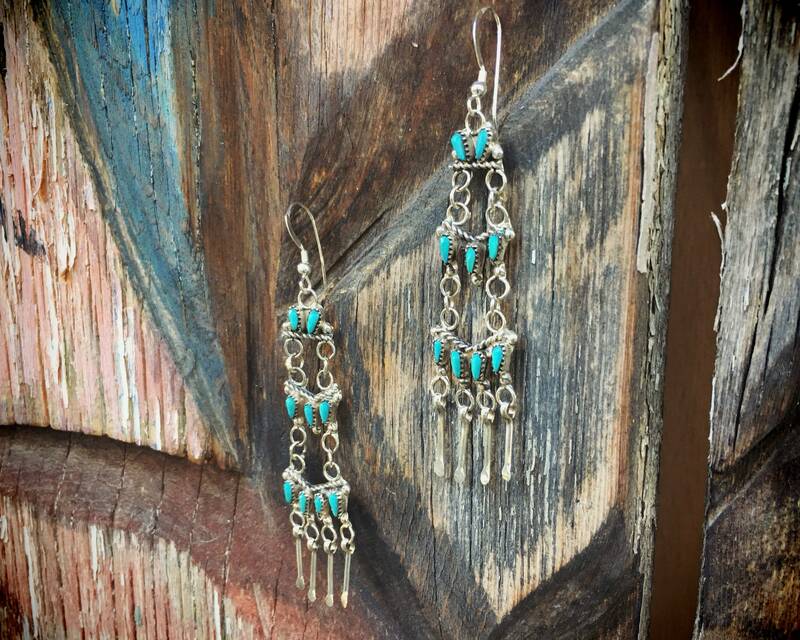 Here we have a pair of long silver earrings with a turquoise snake eye setting, in three clusters each connected to one another, and silver dangles on the bottom. Like petit point, snake eye is a Native American jewelry method. 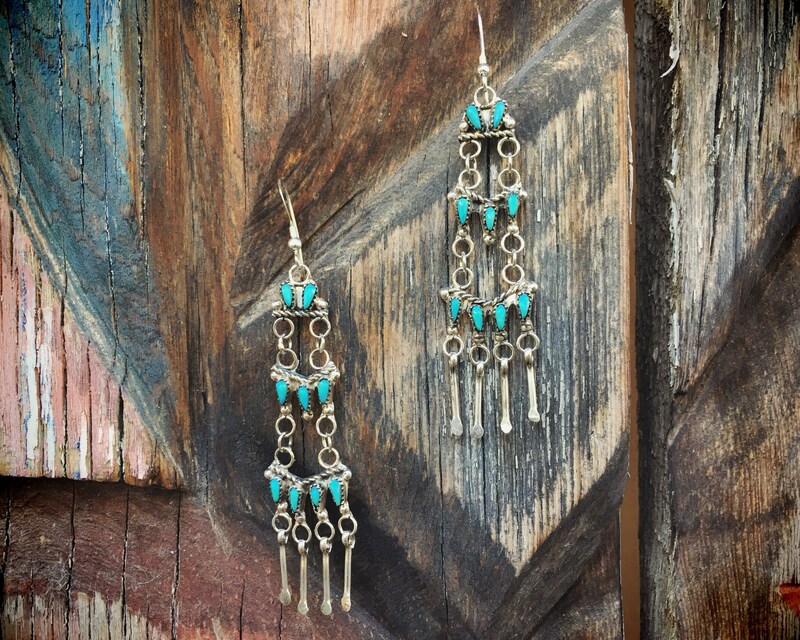 The turquoise is hand shaped into small round cabochons and fitted by hand into a silver setting. 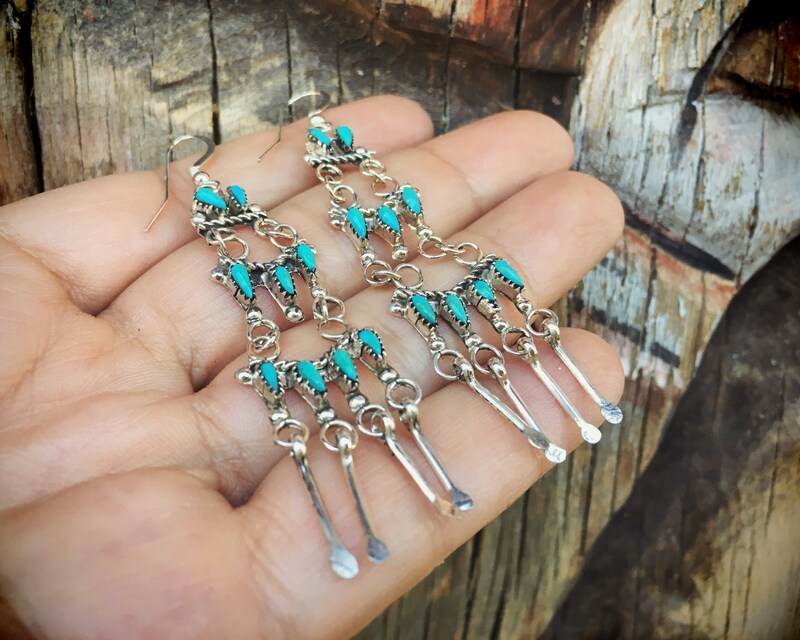 Since these earrings carry no artist hallmark, we cannot say with certainty that they're Native American; however, we believe they are Zuni. 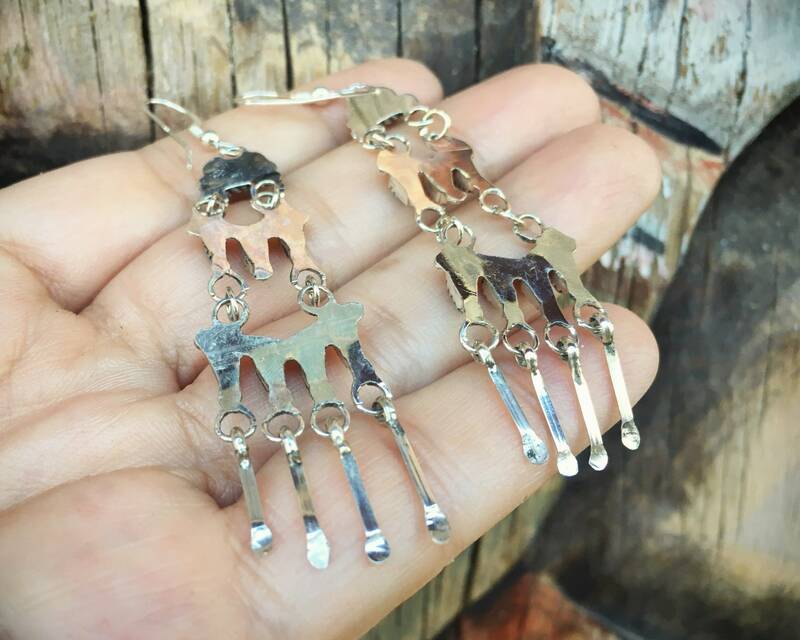 Each earring measures 3/4" across at the widest point by about 3-1/2" long from the top to the bottom of the silver dangling rods. Silver has some small scratches on the back but otherwise in good condition. 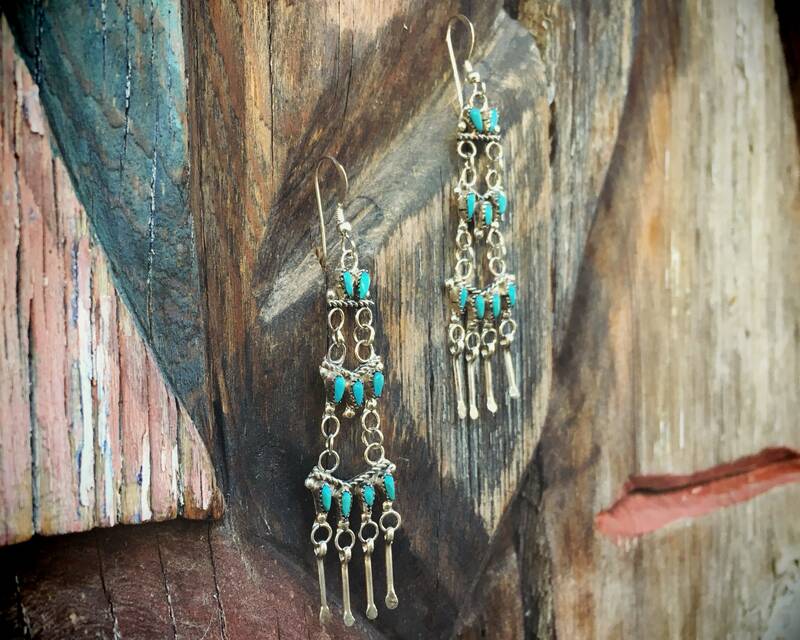 A gorgeous gift for someone seeking a bohemian look. The earrings are gorgeous! They arrived polished and ready to wear. The packaging is beautiful too...such attention to detail. I’m so happy to have found such a great source for amazing vintage jewelry.